Take care of your taste buds, your wallet, and your health by prepping and cooking your way to healthy eating every day of the week with a cookbook designed with just one (or two) diners in mind! This book is filled with inventive recipes that you can make-ahead, pull together on a minute’s notice, or take your time to create, all for the most important person in your life: you. 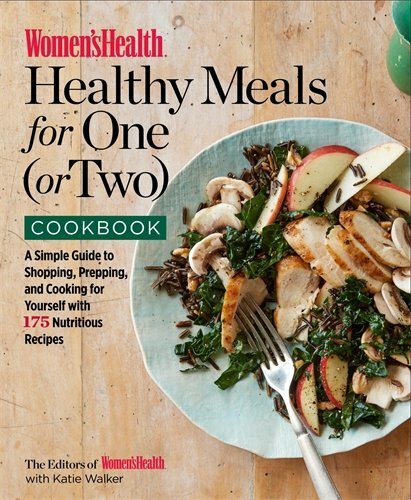 With shopping guides, meal-prep plans for every type of week, a kitchen tool guide, tips for a well-stocked pantry, and advice for making leftovers seem new, The Women’s Health Healthy Meals for One (or Two) Cookbook is not just a cookbook: it’s your new cooking bible. So whether you are prepping quick batches of grab-and-go meals for a hectic workweek or sipping rosé with a date as you create an impressive dish from scratch to eat together, you have found your indispensable guide for simple, portioned-out, healthful eats you can make yourself.